Broccoli is good for everybody because of its high nutritional values. It is a good practice to consume more broccoli in the diet. Making soup is a good way to enjoy broccoli either for kids or adults. 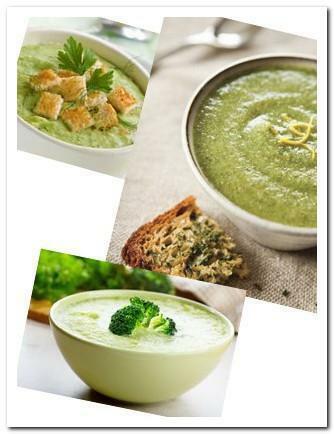 Serve broccoli soup with crouton, baguette or croissant, it is a simple but satisfying meal. Melt butter in a saucepan with medium heat. Add garlic and broccoli, saute until fragrant. Approximately 5 minutes. Add chicken broth and milk, bring to a boil and turn heat to low, simmer gently until broccoli is tender. Around 12 to 15 minutes. Transfer to food processor or blender. Puree until smooth. Pour the soup back to the saucepan, reheat and stir in the cheese. Cook and stir until cheese is melted.